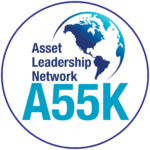 Formed by North American delegates to the ISO 55000 authoring committee, the Asset Leadership Network has already held Summits on Government Asset Management and Real Estate Asset Management. A seminar on Real Estate Asset Management was held in New York City in 2014. In September 2014, a seminar focused on Federal Asset Management issues was held in Roslyn, Virginia, just across the Potomac River from Washington, DC. A summary on the Federal seminar is available upon request from Asset Leadership Network Executive Director, Jim Dieter – jdieter@assetleadership.net.